blo Teens Read and Write: Friday Networking 7/23/10 & CONTEST! Friday Networking 7/23/10 & CONTEST! We always enjoy finding new blogs and visiting our favorites and we do it TWO ways! It's the Book Blog Follow Friday hosted by Parajunkee! 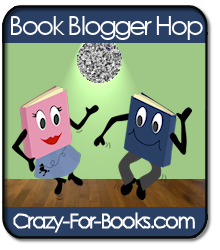 And Book Blogger Hop hosted by Jennifer @ Crazy of Books! QUESTION: Tell us about what you're reading. Jake: SAPPHIQUE by Catherine Fisher - the complex dystopian sequel to her terrific INCARCERON. Gregory: Literally just finished TRACKERS by Patrick Carman, a computer suspense thriller. Alyssa: GLIMMERGLASS - a fun "fairy" tale by Jenna Black. If you're visiting for the first time, Welcome! If you're an old follower, Good to hear from you again! If you comment, we'd love for you to leave a link to your site! I can't remember where I saw this one before, but I thought it sounded like an absolutely fascinating concept...one I myself have considered LOL. Thank you so much for the chance to win! I've heard Trackers is great, same with Sapphique. Glimmerglass is supposed to be pretty unique, too. Hope you three are enjoying them! I haven't read Incarceron yet, but my friend absolutely loved it. I hope Jake's enjoying the sequel! And I haven't heard of Trackers, but a computer suspense thriller? Sounds intriguing. And I CAN'T WAIT to read your review of Glimmerglass, Alyssa! I've heard fabulous things about it, and I'd like to hear your opinion as well! Dropping by through Follow Friday! Already a follower. Just dropping by to wish you a great weekend! I haven't read Incarceron yet, but I've heard some really great things about it. Thanks for the giveaway! Have a great weekend! 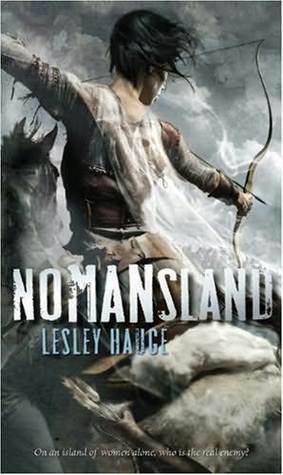 Nomansland sounds like my cuppa tea! Thanks! This is great! Thanks for the giveaway. Just hopping by! I'm already a follower of your blog. Hey you, just following and hopping. Have a great weekend. Stopping by from Follow Friday. I'm hosting a giveaway for *signed* copies of Shiver and Linger by Maggie Stiefvater. Thanks. I don't have a blog but follow many. I'm reading Anastasia's Secret, Caity's reading Nice and Mean and Laurie just finished The Broken Lake and is starting The Eternal Ones. I'm visiting from the hop! Your blog looks fun! I'm going to stick around for a while and check it out!! Happy Follow Friday from a new follower! Stopping by from the hop! Thanks for the giveaway!! Hey guys...:D Stopping by to just say Hi....!!! You always pick the good ones! I'm reading Clockwork Angel! And I'm looking forward to reading Sapphique and Nomansland! This premise sounds super duper interesting! Thanks! Great Giveaway. I'm looking forward to reading this book!! Story Siren is Having a LINGER Party on Twitter! Blood Feud Re-Cover Contest Winner! LINGER Release Date Moved UP!